Raft and swim in the refreshing waters of the Kiuli River. 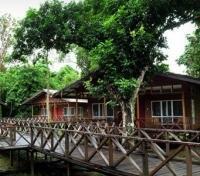 Enjoy a river safari through the Kinabatangan Wildlife Sanctuary. 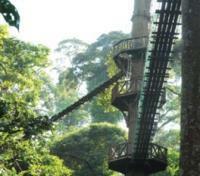 Explore the rainforest from above on a tree top canopy walk. 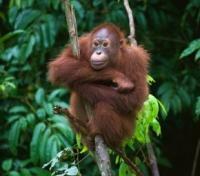 Meet the inhabitants of the Orangutan Rehabilitation Centre. You’ll feel the centuries drift away as you get to know this incredible place that is virtually untouched by modern development. The world’s largest flower – the Rafflesia – blooms along the roadsides of Kota Kinabalu where you’ll also meet the rare and beautiful butterflies of the Sabah Wildlife Butterfly Park and enjoy an up-close encounter with orphaned orangutans at the Orangutan Rehabilitation Centre. 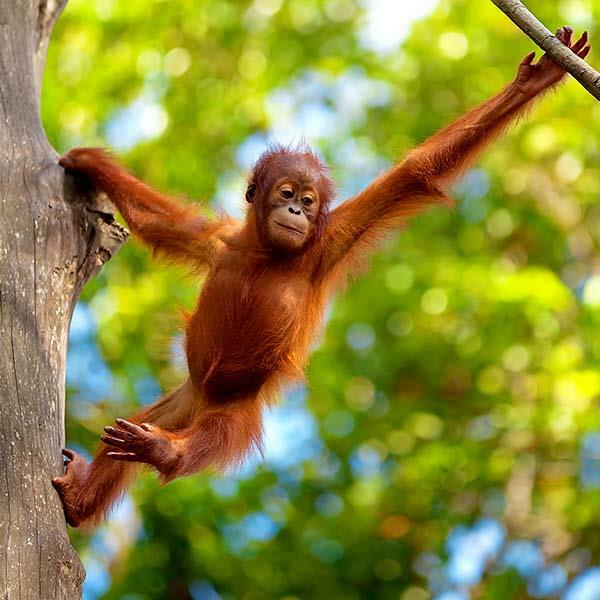 Venture even deeper into the jungles in Sandakan where a range of rainforest cruises, treks and canopy walks will reveal the wild beauty of Borneo from every angle. Located 10 minutes from Kota Kinabalu International Airport, coral islands and the city center, just 150-minute flight time from Singapore, Hong Kong and Kuala Lumpur, Shangri-La’s Tanjung Aru Resort & Spa is a tranquil retreat offering 492 beautifully appointed mountain and sea view rooms and suites, seven restaurants and bars, and a wealth of enjoyable recreational opportunities for families and leisure travelers. The resort is home to CHI, The Spa, a luxurious private spa experience based on traditional Asian healing philosophies. The spa comprises of 5 single villas, 3 couples' villas and an open Yoga Pavilion, all located on Pulau Bayu, the resort’s private island. 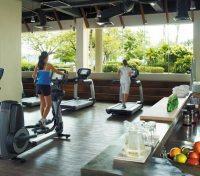 It is one of the only two five-star spas in Kota Kinabalu. 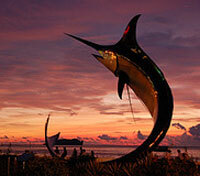 Meet at hotel in Kota Kinabalu and transfer directly to Tamparuli Town. The journey takes approximately 1 hours and 15 minutes to finally arrive at Borneo Wavehunters’ base camp (ending point) located at Kg. Malanggang for light refreshment before transferred to the starting point known as Pukak / Kiulu Town. Start gearing up and followed with safety briefing session conducted by a professional river guide / raft master (20 minutes session). Start rafting for about 1 hours and 30 minutes / 2 hours (depends on the water level condition – the furthest rafting distance is 15km especially when the water level is high and 9km of excursions at average water level). 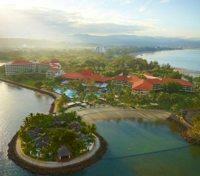 After rafting board a coach and transfer back to your hotel of stay in Kota Kinabalu. Fly from Kota Kinabalu to Sandakan. The flight time is approximately 45 minutes. Meet your driver who will then take you to the Sepilok Orangutan Rehabilitation Centre. When you arrive at the Sepilok Orangutan Rehabilitation Centre you will see the orphaned and injured orangutans that are brought to Sepilok to be rehabilitated and returned to the forest. 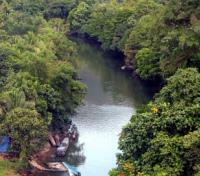 Sepilok is a primary lowland forest, a fine showcase of Borneo's remaining rain forest. Witness the feeding of orangutan from a platform. 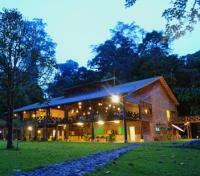 Afterwards, you will head to the Borneo Nature Lodge for check-in. 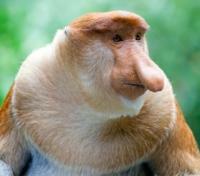 In the late afternoon, take a river cruise to the Menanggol River, a tributary of Kinabatangan River in search for wildlife, including the unique proboscis monkey, macaques, hornbills, kingfishers, and many others. The Kinabatangan Wildlife Sanctuary is one of the best places in Southeast Asia to observe wildlife. Nestled along the riverbank of Kinabatangan River lies Borneo Nature Lodge - an eco-friendly resort, offering the comfort without compromising the green. A natural haven for the outdoor enthusiast, Borneo Nature Lodge is an ideal lodging to explore the melting pot of wildlife found in Sukau. As you soak in the refreshing scenery, you will notice that the lodge is constructed not only around and beside the trees, but also under, creating a canopy-like atmosphere. Take an early morning river cruise to the Oxbow lakes. Oxbow Lake was formed by large meanders of the river that have been cut off from the main channel. 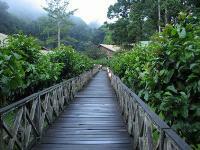 The trip will take you to see more primates and birds. After the cruise, you will return to the lodge for breakfast. In the late afternoon, proceed for another river cruise in the Kinabatangan to search for more wildlife. Transfer from Sandakan to Lahad Datu. 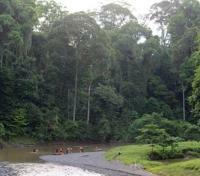 When you arrive in Lahad Datu you will proceed to the Borneo Nature Tour office for registration and a short briefing. After, you will continue to the Borneo Rainforest Lodge, where you will be welcomed with an exotic welcome drink while the front office personnel brief you on the facilities available at the lodge. Enjoy an afternoon trek through the forest using the nature trails and the tree top canopy walkway, 300 metres in length and 26 metres at the highest point, for a close-up observation of the rainforest. After dinner, take a night drive in an open-top vehicle to see if you can spot some nocturnal animals. Start the morning with a trek through the jungle. Trek to the Kadazandusun burial site – “Coffin Cliff” before proceeding to “view point” for a bird’s eye view of the area. After the trekking descend to the Jacuzzi pool for a refreshing dip. This afternoon you have the choice of going for another jungle trek or go for a relaxing session of tubing down the Danum River. Take a night walk where you may spot some nocturnal animals. After lunch, you will check out of the Lodge and begin your transfer to the Lahad Datu Airport. Fly from Lahad Datu to Kota Kinabalu. The flight time is approximately 55 minutes.